A few years ago, Ian Swinburne, HMS research fellow in systems biology, noticed something odd while conducting a time-lapse microscopy study of the inner ear of zebrafish. A tiny structure in the inner ear was pulsating like clockwork, inflating and deflating over and over. But neither could explain why it was pulsating. Over the course of the next several years, Swinburne and Megason worked to better understand the function of this mysterious structure. To do so, they had to visualize it in action. Collaborating with some of the world’s leading microscopy laboratories, they pieced together different views of the endolymphatic sac until a clear picture emerged. Their findings reveal a unique biological mechanism for maintaining fluid pressure and composition and may inform the study and treatment of disorders involving defects in inner ear pressure such as Meniere’s disease, a condition marked by vertigo, hearing loss and ringing in the ears. The results could also help researchers study pressure control in other organs such as the eyes and kidneys, which also have liquid-filled cavities. 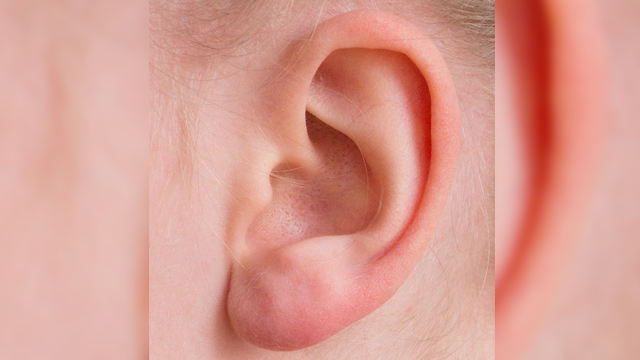 All the structures of the inner ear are interconnected and filled with specialized fluid, which moves in response to sound waves or head movement. These subtle fluid movements are detected by sensory cells and converted into neural signals for the brain to process. Both the pressure and chemical composition of inner ear fluid must be carefully maintained, and certain disorders such as Ménière’s disease are thought to stem from abnormal pressure fluctuations. The inner ears of zebrafish embryos, which Swinburne and Megason study, are much more visible. When the team first observed the pulsating behavior of the endolymphatic sac, they suspected a connection with pressure control. Proving it, however, was another matter. Through dye injection experiments, they discovered that in lmx1bb mutants, inner ear fluid was not flowing out of the endolymphatic sac as it should, and the buildup of fluid caused the structure to balloon. The team noted that normally, a little bit of fluid also leaks back into the sac when it deflates. No such leakage occurred in lmx1bb mutants, however, suggesting that the structure was somehow closed. They were stumped until they connected with Jeff Lichtman, the Jeremy R. Knowles Professor of Molecular and Cellular Biology and the Santiago Ramón y Cajal Professor of Arts and Sciences at Harvard University. The Lichtman lab specializes in imaging the brain, and among the data they’ve collected happened to be high-resolution electron micrographs of the inner ear. “Biologists like to say that structure determines function. When we saw the lamella for the first time, it all clicked,” Swinburne said. “It was a eureka moment,” Megason added. In most tissues, cells are tightly connected and water cannot pass between them. In the endolymphatic sac, however, cells appeared to have small gaps between them, which are covered by lamellar barriers. When fluid pressure builds, the sac inflates and the barriers begin to separate. Once a certain point is reached, the barriers open, allowing fluid to flow out of the sac to relieve pressure. To further investigate, the researchers teamed up with microscopy pioneer and Nobel laureate Eric Betzig of the Howard Hughes Medical Institute and Tomas Kirchhausen, HMS professor of cell biology and a professor of pediatrics at Boston Children’s Hospital. “They’re constantly crawling. It looks like a cell that’s migrating, but they are part of the epithelium. It’s really weird cell biology,” Swinburne said. Mutations to lmx1 genes in humans have been linked to glaucoma, a condition where fluid builds up in the front part of the eye. A better understanding of lamellar barriers and pressure- relief mechanisms could help inform the study and treatment of these diseases, the authors suggest. Esta entrada se ha publicado en Artículo, Cerebro, Cosas Nuevas, Efectos Secundarios, Investigaciones, Prevención, Sabías que, Salud, Vale la pena ver y se ha etiquetado como audición, células sensoriales, Cerebro, equilibrio, líquido, oído interno, presión, saco endolinfático, vértigo, zumbido. Marca el vínculo permanente.